Training: Every Scout deserves a trained leader. Every leader should both take Fast Start Training and Youth Protection Training online. 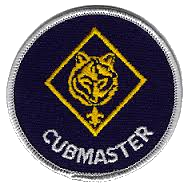 Leaders should then take Cub Scout Leader Specific Training.Roundtable is a monthly meeting offered by districts that gives leaders hands-on experience and provides a forum for leaders to offer and receive help from their fellow Scouters. Roundtable is open to all parents and leaders. Roundtable meetings allow you to hear directly from the district leaders on upcoming district and council events and activities. This is a great place to ask questions and meet other parents and leaders in your area. Find a Roundtable near you. Annual Planning: A common element of strong units is they all have a good annual program planned a year in advance that is then shared with all families in the form of a calendar, trained leaders and the right leaders. Attend May Roundtable to receive a copy of the council’s Program Guide, which contains valuable information on district and council programs and is an essential tool for planning. Additional resources can be found here. BeAScout.org is a tool prospective families use to find units to join. BeAScout.org has a Google pin for every unit. Unit leaders can update your unit information to make it EASY for new Scouting families to find your unit by logging into myscouting.org and looking under Unit Tools, selecting BeAScout, and then clicking on “Unit Pin Management.”Additional resources are available.